The South Florida traders worked for a subsidiary of Elemetal, the Dallas firm that merged with Ohio Precious Metals six years ago. In March, after federal prosecutors charged the three men with money laundering, Elemetal lost industry certifications to trade the gold it sold to blue-chip U.S. jewelers, banks and tech companies. Jackson got sucker-punched. The town is paying the price for criminal behavior in Miami and Latin America. Welcome to the 21st-century global economy: One link breaks and the whole chain falls apart. “It’s three schmucky guys from Miami who got into trouble and messed everything up for people here,” said Megan Malone, director of the Lillian E. Jones Museum, a historic mansion dating from Jackson’s 20th-century economic peak as a leading producer of pig iron, which was used to make steel and iron products. In Jackson, an Appalachian town of 6,230, the jobs at Ohio Precious Metals were a lifeline. Workers smelted precious metals 24 hours a day, 365 days a year, for use in coins, jewelry and electronics. They got good wages, health benefits, paid time off. Salaries for blue-collar labor ranged from $30,000 to $45,000 in a place where a three-bedroom house can be had for $100,000. But after the bust, the armored trucks laden with rough bars of gold and silver stopped coming. There was nothing left to melt. Jackson — perched in densely wooded hills 35 miles northwest of the Ohio-West Virginia border and 3,000 miles from the environmentally destructive illegal mines of South America — paid the price. Subsistence gold miners in Colombia get hit from all sides. The criminal gangs who extort money from them. The multinational companies that dominate the industry. The government that they say wants to regulate them out of existence. It’s not clear exactly how many jobs were lost. The refinery had been shedding workers even before the scandal broke as the flow of dirty gold slowed under pressure from Latin American authorities. Meanwhile, Elemetal executives in Dallas were stripping the Jackson refinery for parts, former employees say. Between 50 and 100 people were still working at Ohio Precious Metals when it stopped melting gold in April, according to those who lost their jobs. The company did not respond to calls and emails. No mass layoff notices were filed with the Ohio Department of Job and Family Services. Tammy Osborne-Smith, who oversees Jackson County employment services, said she was aware of roughly 50 people who had been laid off at the refinery since April. Months after the layoffs, the Miami traders — Juan Granda, Samer Barrage and Renato Rodriguez, all of Doral-based NTR Metals — pleaded guilty to a money-laundering conspiracy. They’re helping federal prosecutors build a case against the Colombian and Peruvian drug lords who supplied them with gold, according to sources familiar with the investigation. What good does that do for Jackson? Without gold to melt, the plant — one of only four major gold refineries in the United States — has withered to a husk. Now, about 10 employees are left, mainly managers with no one to manage, former workers say. For a shimmering moment, it seemed gold might revive Jackson’s fortunes. The town, a once-thriving industrial center founded in 1816 and later settled by Welsh pioneers, had already lost so many jobs: The pig-iron foundries went bust in the 1960s, one after its furnace exploded. 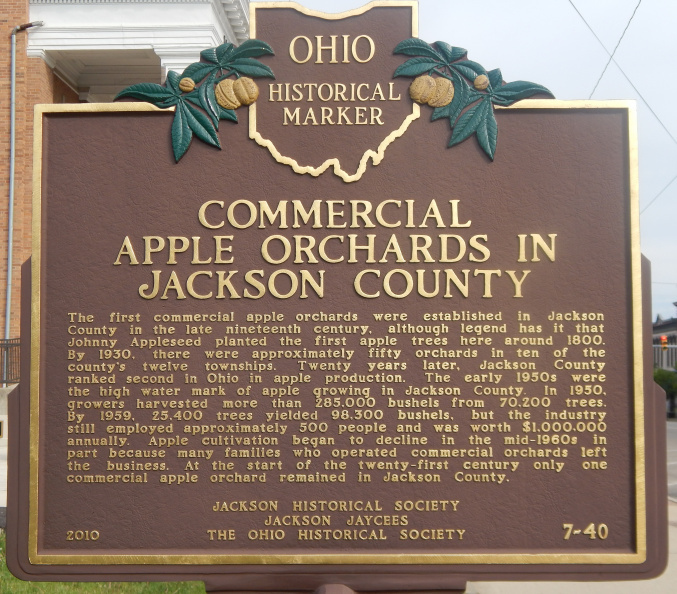 A single apple orchard remains of the 50 that once blossomed here. A decommissioned uranium-enrichment plant is being cleaned up. The Meridian auto-parts factory shut down. Coal mines went fallow. Before the merger with Elemetal in 2012, Ohio Precious Metals melted “scrap” gold from pawnshops and jewelry stores. The refinery, housed in a former Campbell’s Soup factory, had fewer than 100 workers. But business boomed as traders at Elemetal’s Miami subsidiary began importing billions of dollars of illegally mined gold from Latin America. Gold prices were high. Elemetal shipped advanced minting equipment to Jackson so the refinery, now known as Elemetal Refining, could produce gold and silver bars for investors. “We were working seven days a week and we couldn’t keep up” with the amount of precious metal coming in, said a worker who asked not to be named because she was speaking about a powerful former employer. Politicians including Gov. John Kasich and Sen. Rob Portman toured the plant that was creating jobs in a quiet corner of Appalachia. The Wall Street Journal visited in 2014. So, too, did an alleged Peruvian money launderer whose shipments of gold led to the refinery’s demise. Although the plant wasn’t the biggest employer in Jackson — frozen-food factories are its main industry — it offered the possibility of growth in a profitable industry fueled by America’s obsession with gold. When Elemetal purchased a facility in nearby Waverly to recover metal from discarded electronics, the company said it could create as many as 500 jobs over the next decade. “I am committed to doing what I can to make sure this part of Ohio really begins to flourish,” Kasich said during a ceremony for the opening of the recycling plant. The economic boom would be short-lived. Even before the scandal broke, there was trouble in the top ranks of management. Alan Stockmeister had owned the refinery since 2004. Stockmeister became chairman of the board after the deal with Elemetal but clashed with the firm’s CEO, John Loftus, according to former employees. Eventually, in what workers described to the Miami Herald as a power move, Loftus ordered the minting machinery packed up and shipped back to Texas. Elemetal wanted to set up its own operation. Neither Stockmeister nor Loftus responded to requests for comment through their companies. Meanwhile, the Miami gold traders found their supply squeezed in Latin America as authorities there cracked down on illegal mining. By 2016, the gold coming into Jackson slowed to a trickle. That’s when the layoffs started. Workers were fired in bunches — five here, 10 there. People cried as they were being led off the floor. In one family alone, a mother, father and daughter lost their jobs, according to former employees. Lurhman, who still runs a scrap business, has a simple rule that he says keeps him out of trouble: Don’t buy gold from foreign sources. Elemetal and its executives have not been charged with wrongdoing, although federal prosecutors are still examining their role in the money-laundering scheme. Stockmeister, a Jackson native, is a prominent Republican donor and Ohio State University trustee. He owns construction businesses, real estate and hotels in Jackson, as well as the local newspaper, the Telegram. The buzz around town is that Stockmeister wants to turn the refinery into a growhouse for medical marijuana, legalized in Ohio two years ago. A business headquartered at the refinery applied for a license last summer but wasn’t selected by state regulators. In the meantime, the refinery has tried smelting cheaper metals like copper and tin. Jackson has lost good jobs like those at Ohio Precious Metals before. The town is still here. Today, the Jackson area’s two biggest factories employ a total of 2,300 workers pumping out frozen meals for Boston Market and Chili’s. The new businesses mark a meager prosperity compared to days past. A Walgreen’s pharmacy shares the site of the old Globe Iron Company headquarters. A pawnshop sits near the old downtown Cambrian Hotel, which opened at the dawn of the 20th century to cater to visiting coal and iron barons. The hotel is now subsidized housing. As in many parts of America, opioids plague the town. At least three graduates of Jackson’s drug court program, which offers offenders treatment and a way to avoid incarceration, went on to work at Ohio Precious Metals. But the refinery isn’t coming back. The gold lust of the Miami traders and the company from Dallas took care of that.